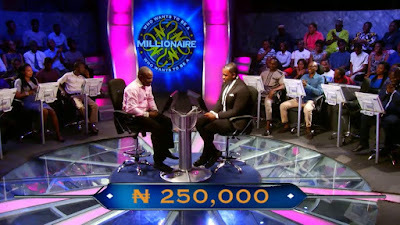 The popular WWTBAM TV quiz gameshow known as "Who wants to be a millionaire" with the amazing questions being asked from the Host, Frank Edoho. 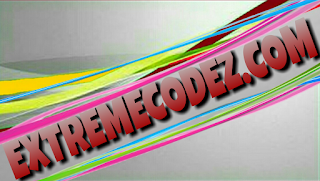 Since 8 October 2004 till date. 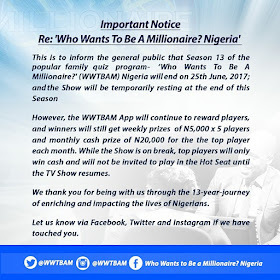 Who Wants To Be A Millionaire (WWTBAM) Will no more function as a shocking news reveals that the game show had been suspended or temporary break due to lack of sponsorship. 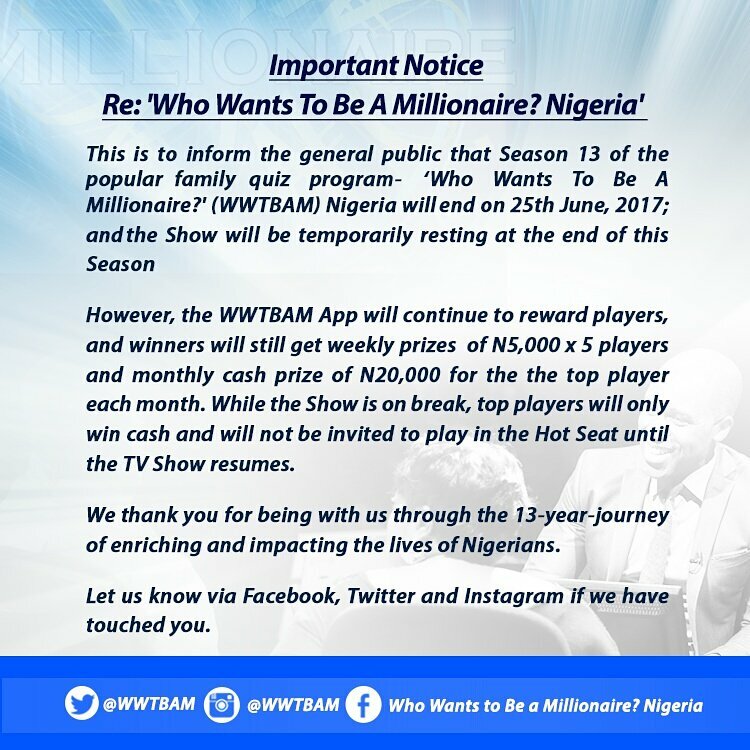 However, WWTBAM was launched in 8 October 2004 and was being sponsored by MTN Nigeria which had just pulled out. The news was revealed by Frank Edoho via his Twitter page, who is the show's anchor and also a popular comedian, at the end of the 13th season yesterday. He also said that the gameshow won't be back till they secure a new sponsor. 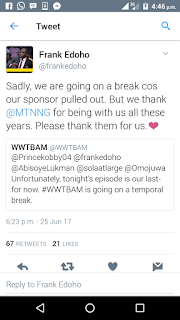 Unfortunately, there is no word about the resumption date. 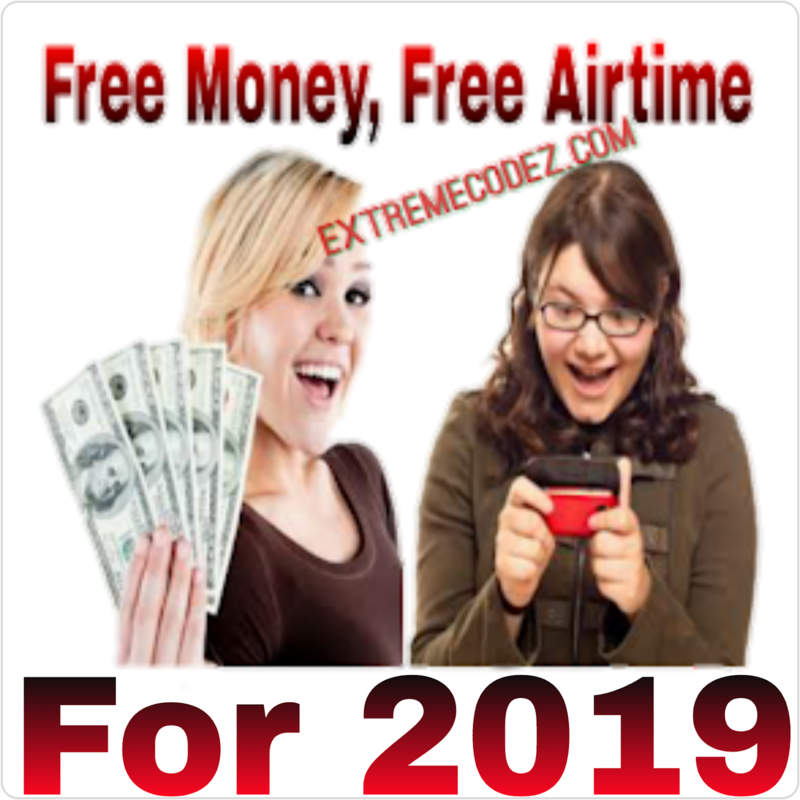 Who want to be a billionaire (WWTBAB) will be no more till further notice, probably they may or maynot.